Description: This handsome wall fixture features a Faux Leather shade, wrapped in Rawhide, that tops a candlelight perched on a bobeche, to complete this stunning look. 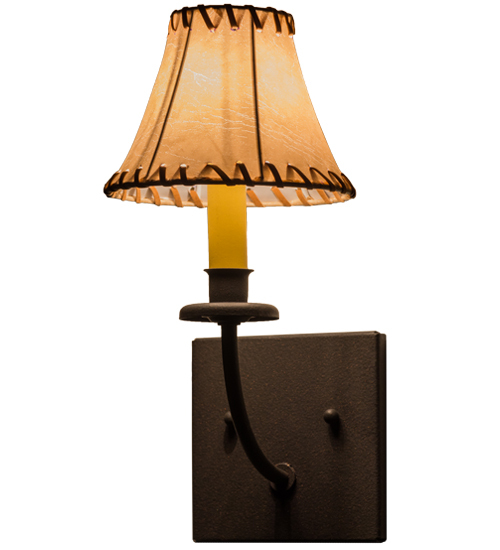 The sconce is enhanced with hardware featured in a warm Dark Roast finish. Handcrafted in Upstate New York at the foothills of the Adirondack Mountains, this fixture is available in custom sizes, styles and colors. Dimmable energy efficient lamping options are offered.